Calestous Juma (1953-2017) was Professor of the Practice of International Development and Director of the Science, Technology, and Globalization Project at Harvard Kennedy School’s Belfer Center for Science and International Affairs. He was Founding Executive Director of the African Centre for Technology Studies in Nairobi, Fellow of the Royal Society of London, and Foreign Associate of the US National Academy of Sciences. 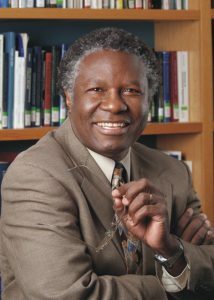 His recent books include The New Harvest: Agricultural Innovation in Africa (2011) and Innovation and its Enemies: Why People Resist New Technologies (2016); more at www.calestousjuma.com.